While I was writing this post, I listened to You Are My Sunshine by Johnny Cash. Try it ! So far, I've tried out and reviewed two palettes from the new BeautyBay EYN (Everything You Need) makeup range ; the small Bright Shimmer 9-Colour Palette made of nothing but shimmers and the Bright 16-Colour Palette mixing mattes and shimmers. 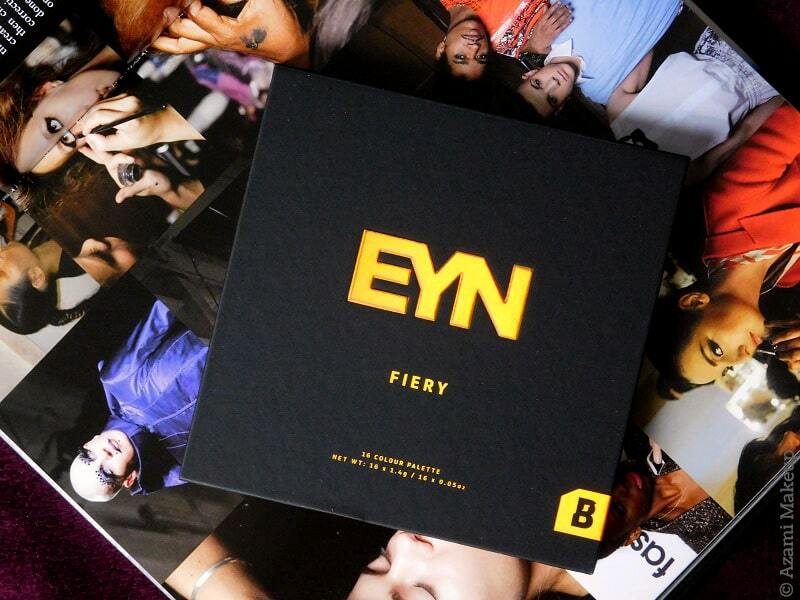 Today, my dears, I'm really excited to tell you all about the Fiery 16-Colour Palette. 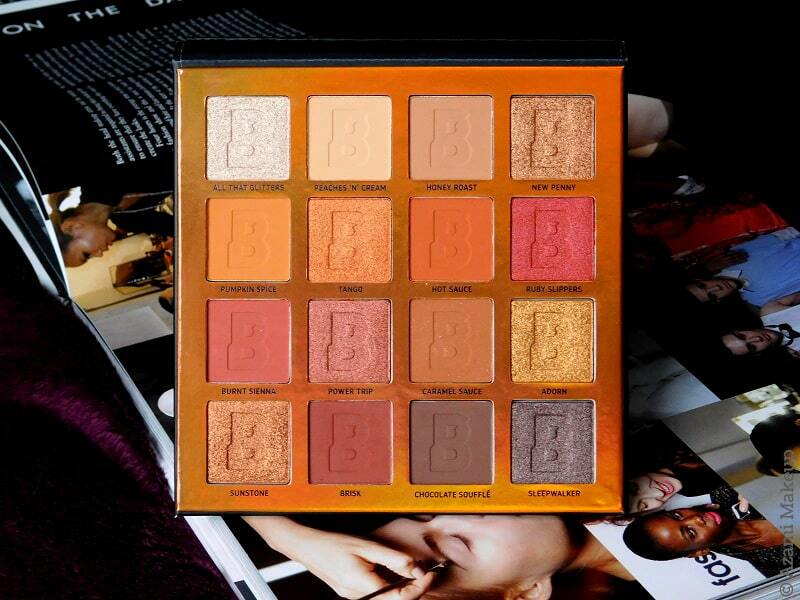 This Fiery Palette has exactly the same configuration as the other three 16-eyeshadow palettes in the range, a small square mixing matte and shimmer eyeshadows. Still cruelty-free and vegan, the palette has 1.4g eyeshadow per pan which is quite good considering I paid €13.50 for it - much less than the price of a single eyeshadow from M.A.C.. 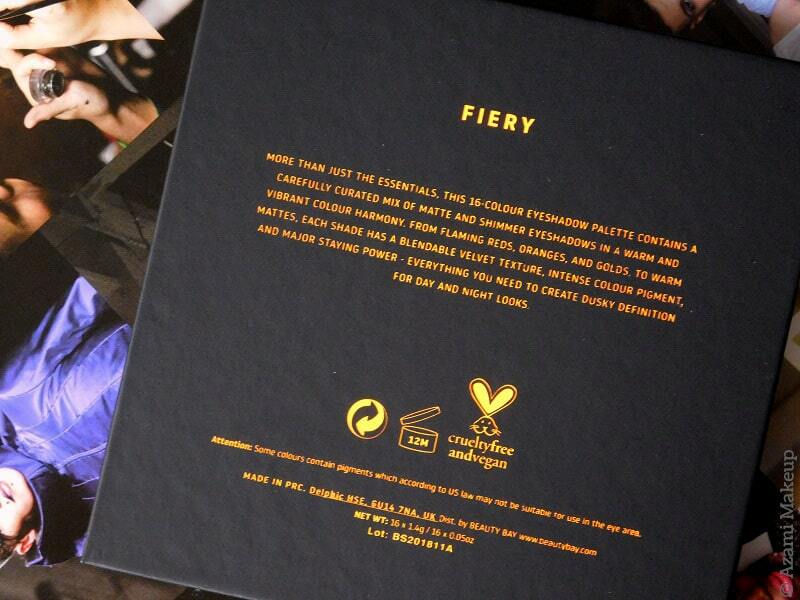 The name Fiery indicates exactly what we're going to find in the palette ; oranges, reds, golds - only warm-toned shades. I noticed that the shade Ruby Slippers is already in my Bright Shimmer 9 Palette but I don't mind since it's a beautiful color and it's only one color. On the other hand, I told you right here that I'd first bought almost all the 9-Color and all the 16-Color palettes but that due to too many colors being repeated in the palettes within a same range, I returned almost all of them and kept only 5 in the end. 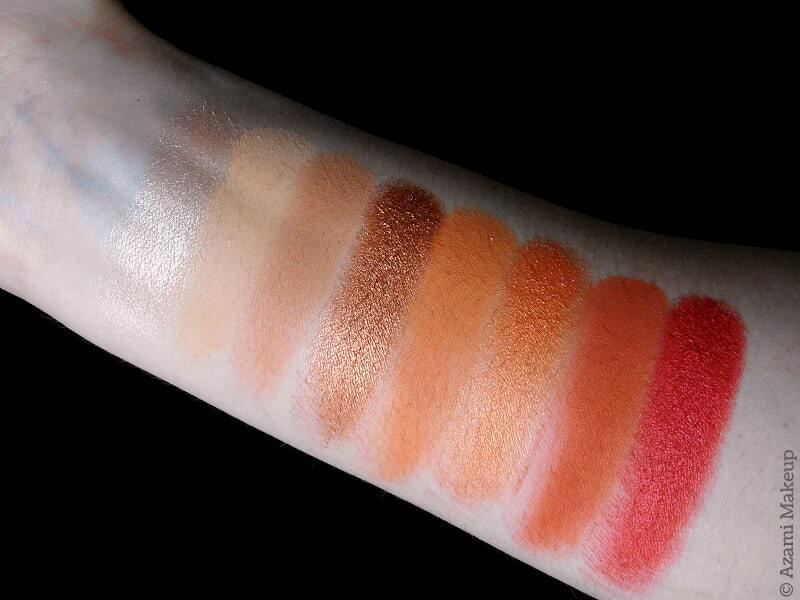 Fiery is one of the ranges where there were the most repeats and also shades looking too much alike so I didn't need to keep any other since I'd bought this one. 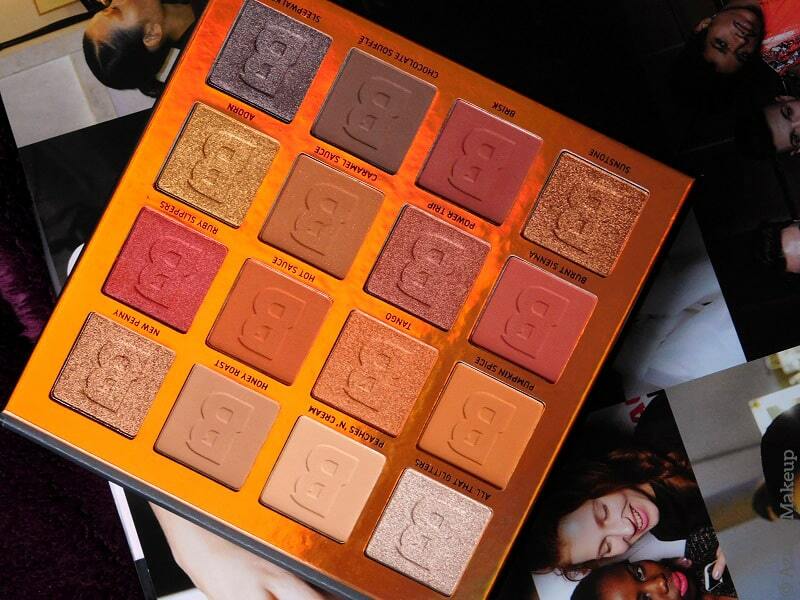 Still, do check out the Fiery Matte 9-Color Palette if you need a full matte reddish palette because if I didn't own that many palettes, I would definitely have kept it. 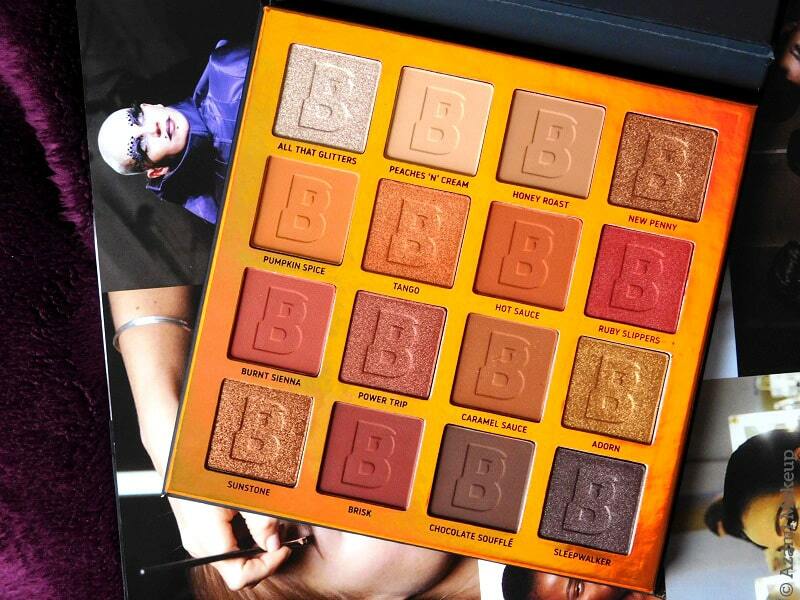 I love this format of palette because you can definitely see there is enough product to last you a long time but it's still compact enough to travel. I can take this on a photoshoot, I can do my makeup home with it or travel for photoshoots with it in my suitcase and I'm not worried it'll break. And the mirror inside is good quality and super useful too ! Let me tell you one thing straight : out of the five palettes I have kept from the EYN collection, this Fiery 16-Color one is the most pigmented and the best one all around - and, dare I say it, my favorite ? 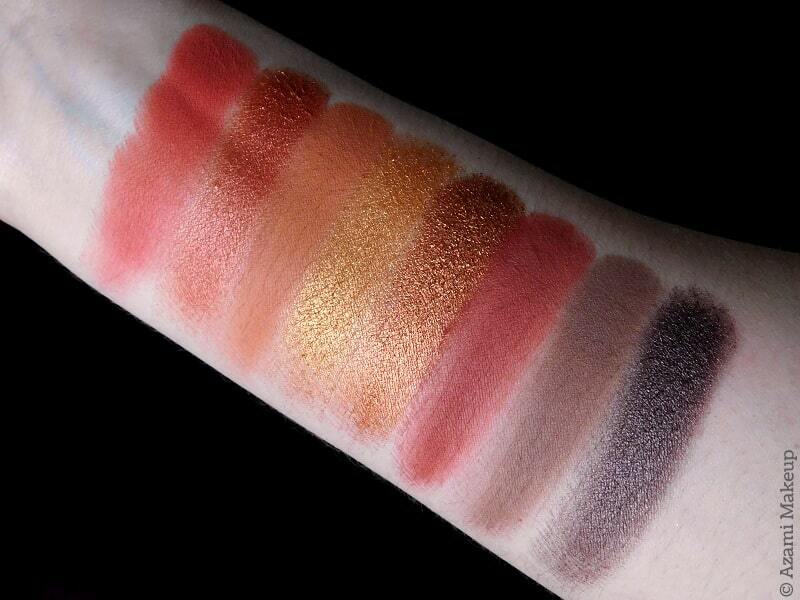 The eyeshadows, even the shimmery ones, are really buttery, really creamy and pigmented. I've found I don't necessarily have to wet these eyeshadows with Fix+ to make them pop as I have to with the brights from the EYN Bright Shimmer 9.